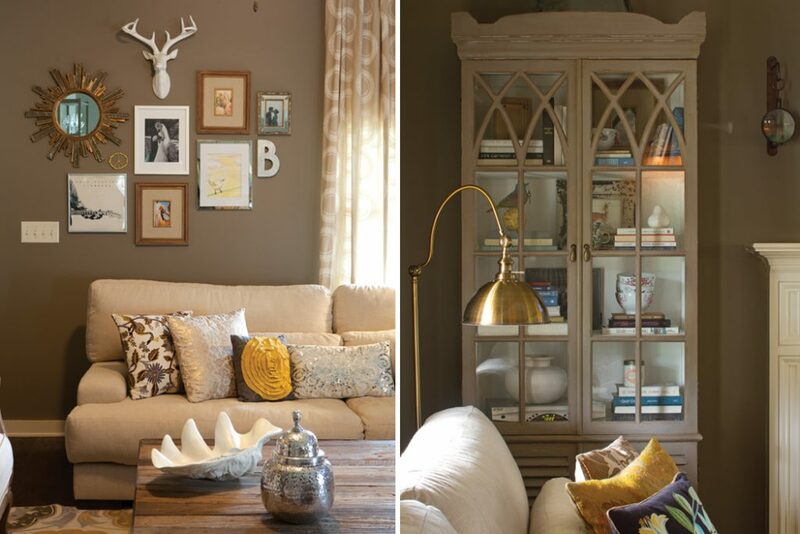 A young homeowner and her designer create a comfortable space where shine and sparkle are grounded by earthy textures. 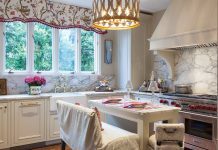 A neutral color palette, punctuated by a smattering of warm yellows and cool greens, highlights the interesting textures of the materials used in the home and lets them take center stage. 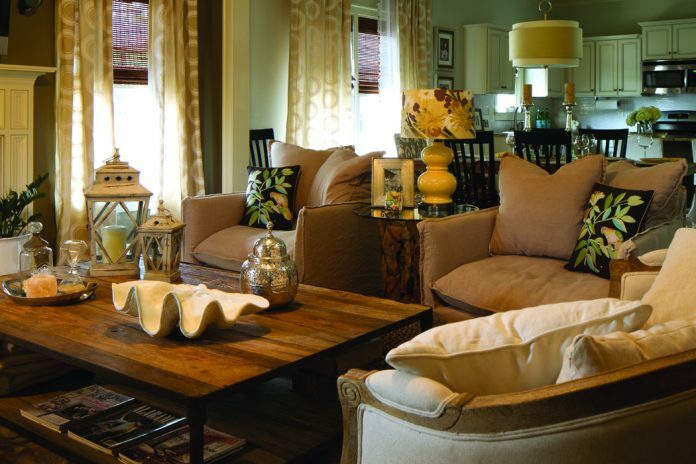 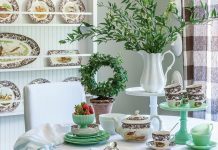 The comfortable, collected feel of Kelli’s accessories and furnishings lends a patina to the new home. 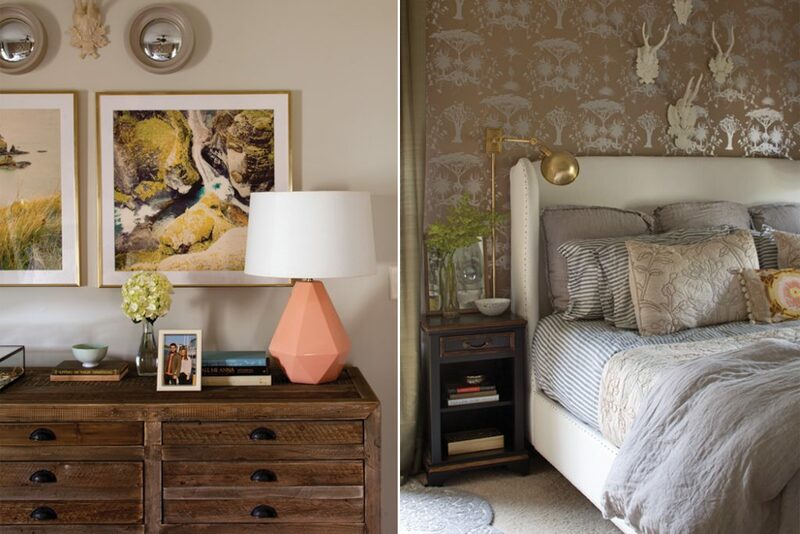 From the light fixtures to the decorative accessories, a plethora of metallic accents sparkle throughout. 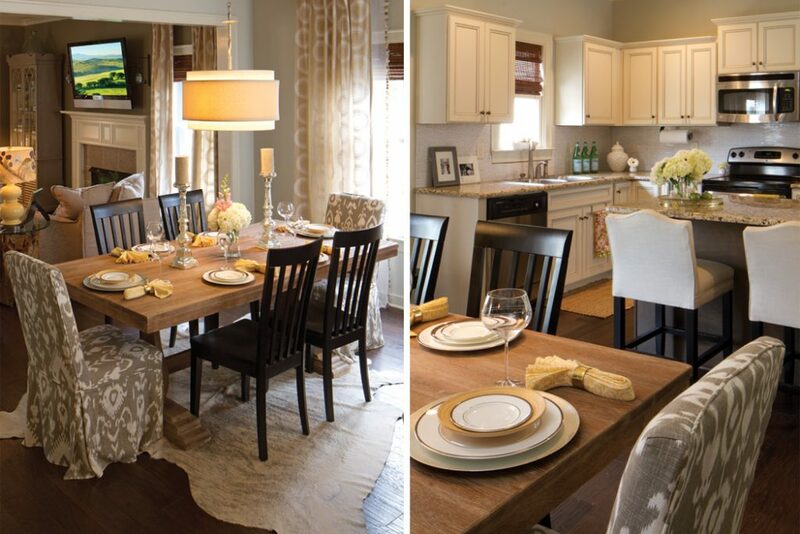 “Laurel-Dawn always told me to use both gold and silver together, that it adds glamour to the space,” says Kelli. 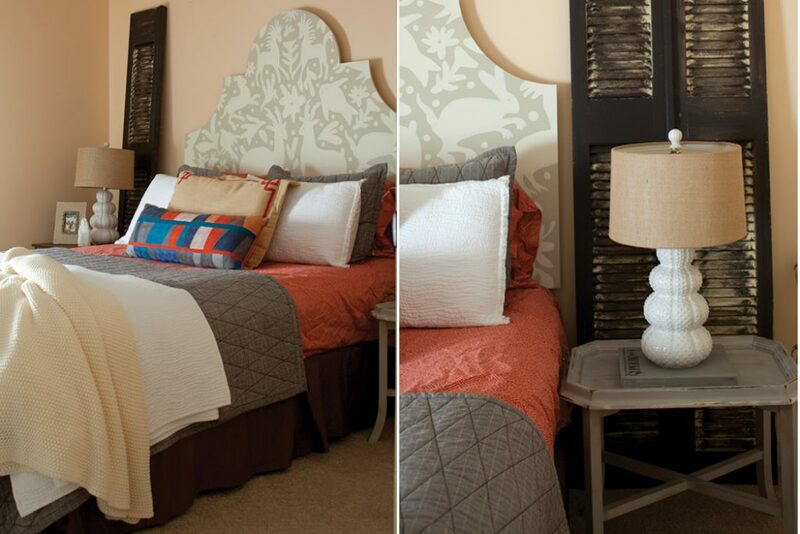 Instead of art, use architectural salvage shutters and other unexpected items to add interest to a wall. 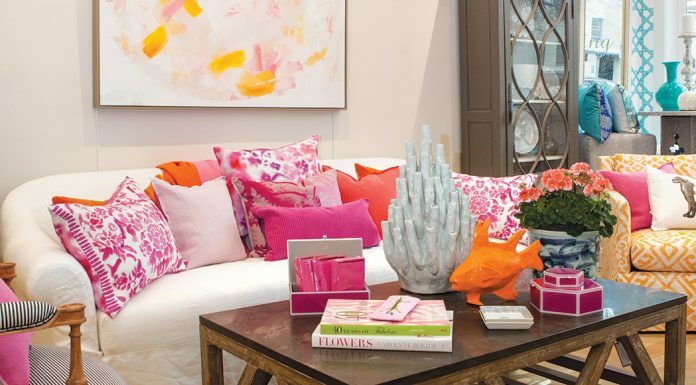 Try pairing pieces with different textures to add an organic element to the room.